If a client confirms an opportunity they sent you in their own environment your app will tell you. If a supplier accepts an assignment you sent them, your app will tell you. If a client calls with questions about an old project, you'll have the answers in seconds. Whatever someone said in the context of a task, you'll find it. Partner ratings and notes provides an internal method of building knowledge about individual partners, either clients or providers, based on your company's experience in working with them. These ratings and comments only appear internally to the people in your organization. You must have permission to see that person’s profile to rate them or to see ratings from others in your company. Your external partner will NEVER see your company's ratings or comments about them or their organization. 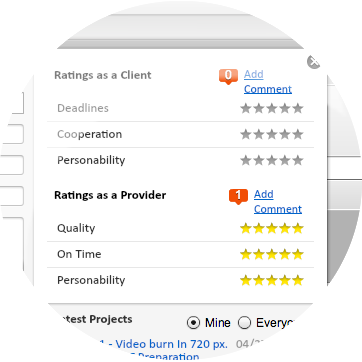 There is a dashboard widget for ratings on clients and another one for comments on providers. 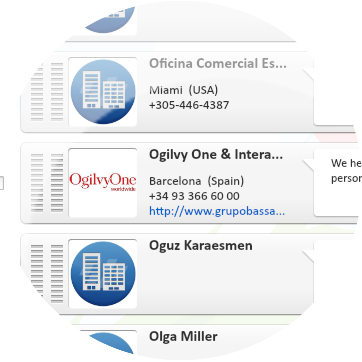 You can only see comments made by another employee if you're in contact directly with the partner about whom the comments are made. Your external partner will NEVER see your company's comments about them or their organization. 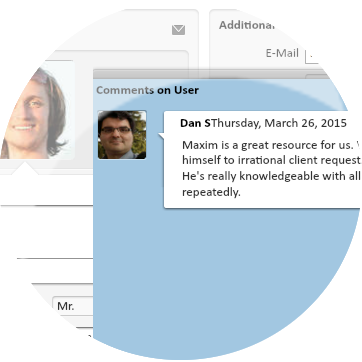 There is a home dashboard widget for comments on clients and another one for comments on providers.